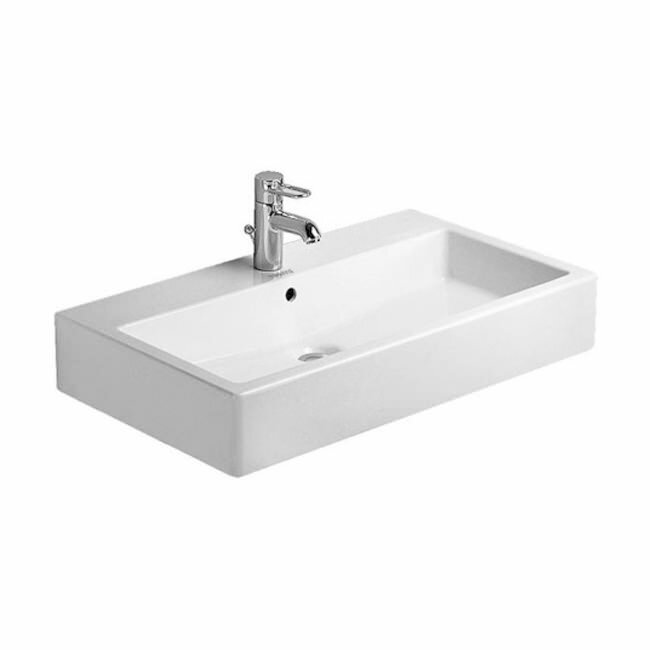 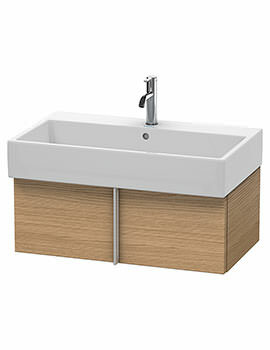 Projecting an altogether new look, this rectangular, Ceramic Ground Washbasin from Duravit Vero comes with luxurious white Alpin finish and is also alternately available in an eye-catching black finish. 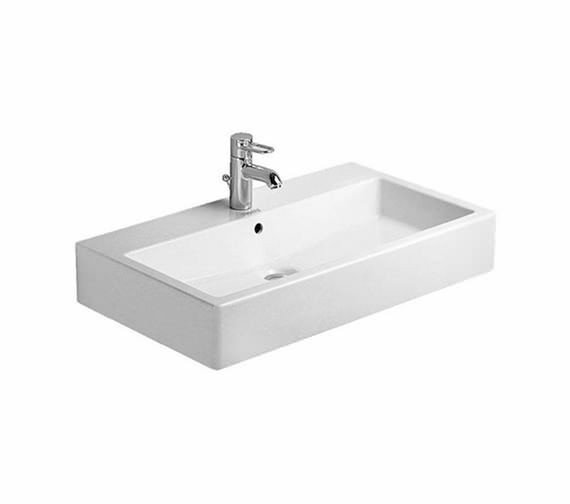 Designed with a tap platform, it comes with 1 tap-hole, overflow and can also be availed with 3 tap-holes or without any tap-hole. 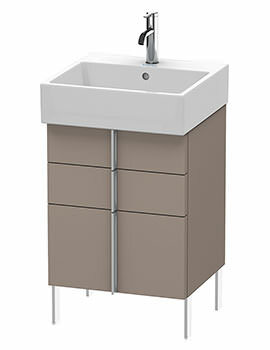 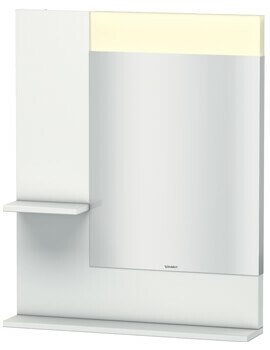 With all fixings included, this easy-to-install washbasin, is guaranteed for flawless services for a minimum of 5 years. 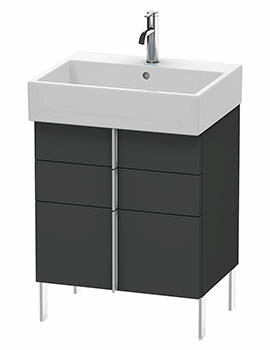 Other attractive add-ons include a designer waste in chrome, design angle valve with rosette and pop-up basin waste with horizontal lever. 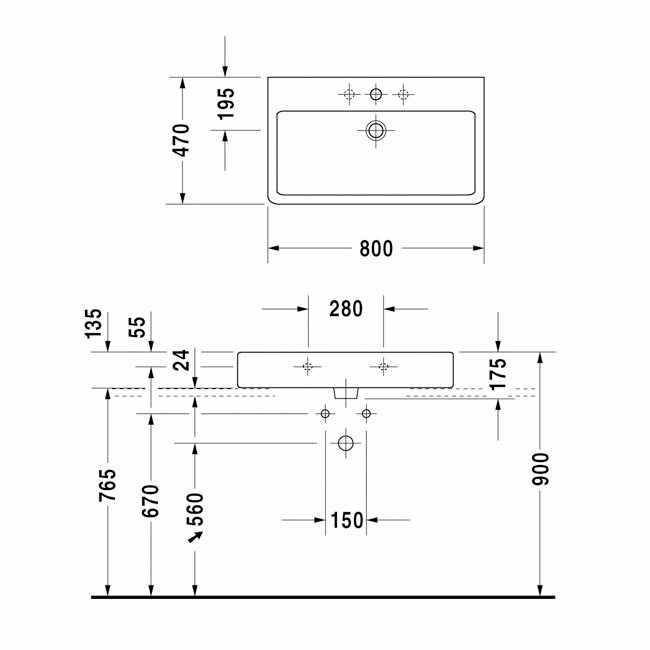 Manufacturing code of this product is 0454800027.